a) Ordinary hydrogen (1H1) with atomic mass equal to 1.
b) Deuterium (1D2) with atomic mass equal to 2.
c) Tritium (1T3) with atomic number equal to 3. Atoms with the same mass but belonging to different chemical elements are called isobars. Obviously, isobars possess different number of protons and electrons in their atoms. 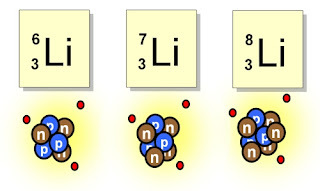 Total number of protons and neutrons in each of their nuclei is also same. The example of first pair of isobars is argon and calcium. Argon (atomic number 18) has 18p, 18e and 22n in its atom. Calcium (atomic number 20) has 20p, 20e and 20n in its atom. 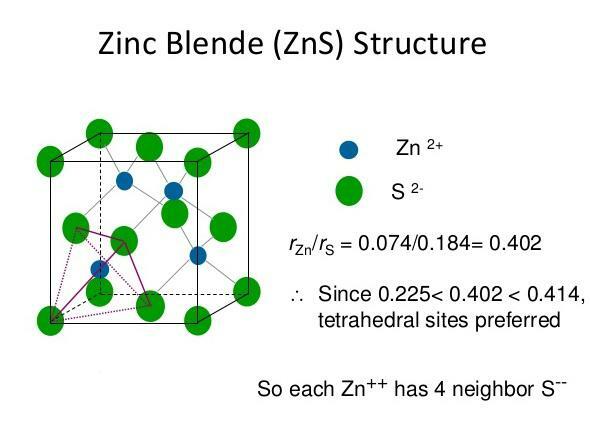 These are the nuclides having the same numbers of neutrons (N) but a different Z and A. Example of Isotones are 136 C and 147 N. Isotones having a given value of N, obviously do not all corresponding to the same chemical element. 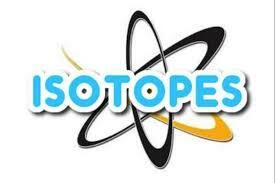 The analysis of the properties of isotones and isobars helps us to disclose several features of atomic nuclei. 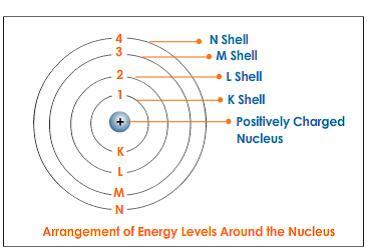 Such analysis helps us to predict that what will happen to the stability of a nucleus when an extra n or p is needed to the nucleus. 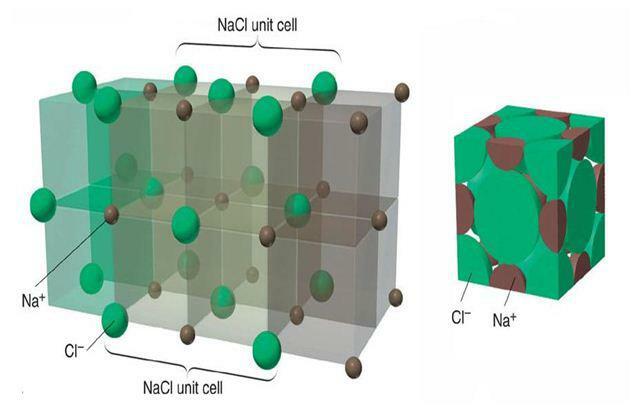 Materials exist in nature in two principal forms as crystalline and non-crystalline (amorphous) solids, which differ substantially in their properties. In a crystal, the arrangement of atoms is in a periodically repeating pattern where as no such regularity of arrangement is found in a non-crystalline material. A crystalline solid can either be a single crystal, where the entire solid consists of only one crystal. or an aggregate of many crystal separated by well defined boundaries, in the latter form, the solid is said to be poly-crystalline. For crystalline solids sharp melting point, these are an-isotropic solids i.e., their properties are different in different directions. 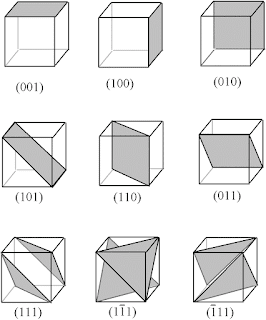 Whereas non-crystalline or amorphous solids are isotropic. These are solids which have a regular periodic arrangement in their component parties, bounded by flat faces, orderly arranged in reference to one an other, which converge at the edges and vertices. A crystal is symmetrical about its certain elements like points, lines or planes and if it rotated about these elements, it is not possible to distinguish its new position from the original position. 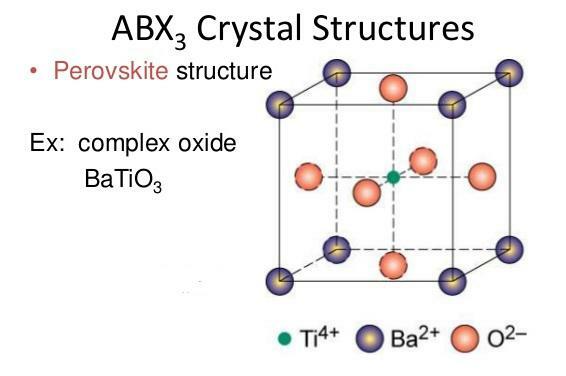 This symmetry is an important characteristic based on internal structure of crystal. Symmetry helps one to classify crystals and describing their behavior. At temperatures below that of crystallization, the crystalline state is stable for all solids. Single crystals represent a material in its ideal condition and are produced artificially from their vapor or liquid state. These crystals help us in studying behavior and defects of the material in ideal conditions. The 3-dimensional network of imaginary lines connecting atoms is called space lattice. 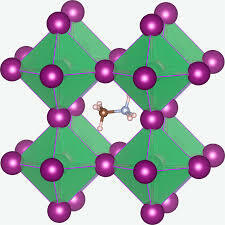 The metallic crystals can be considered as consisting of tiny blocks which are represented in three dimensional patterns. 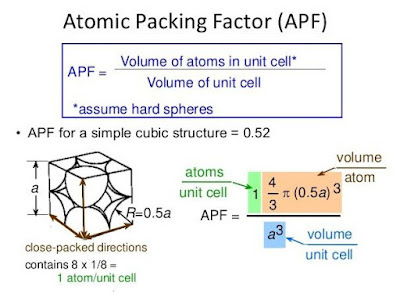 The tiny block formed by the arrangement of a small group of atoms is called the unit cell. 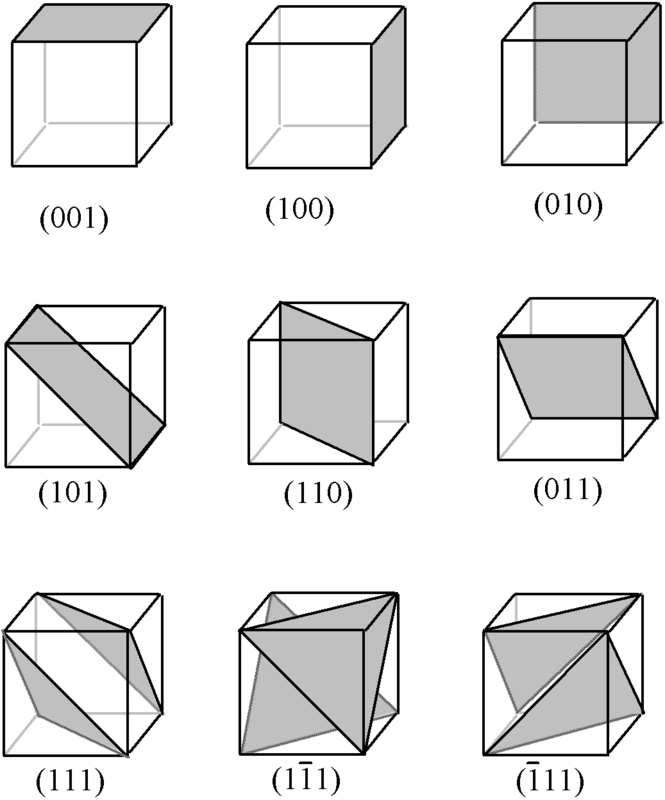 It is that volume of solid from which the entire crystal can be constructed by translational repetition in three dimensions. If each atom in a lattice is replaced by a point; then each point is called a lattice point and the arrangement of the points is referred to as the (three dimensional) lattice array. Thus a space lattice is. defined as an array of points in three dimensions in which every point has surroundings identical to that every point in the array. If all the atoms, molecules or ions at the lattice points are identical, the lattice is called a Bravias lattice. 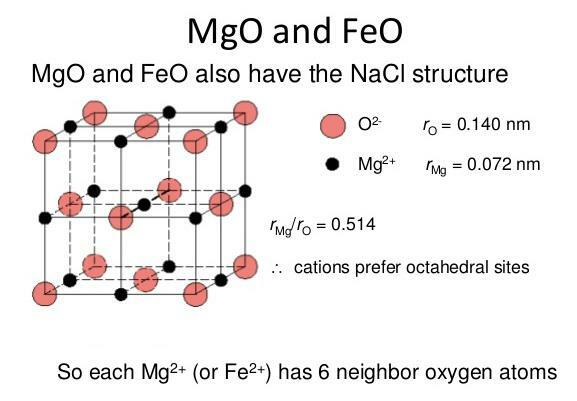 The distance between the atoms-points is called inter atomic or lattice spacing. 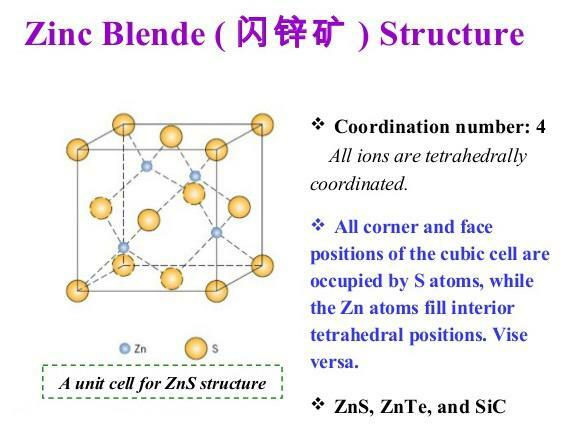 A space lattice is a conventional geometrical basis by which crystal structure can be described. Every point of a space lattice has identical surroundings. 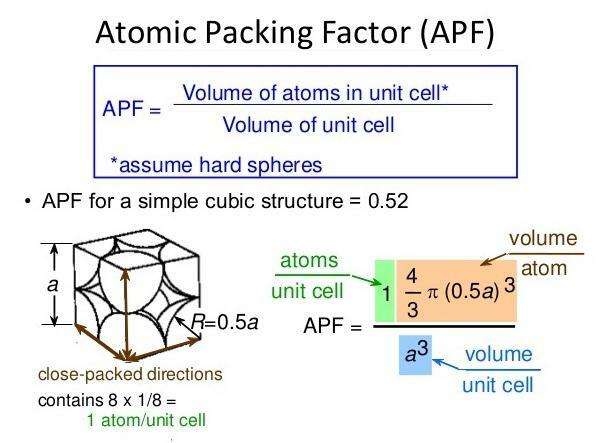 The length of the side of a unit cell is the distance between the atoms of the same kind. 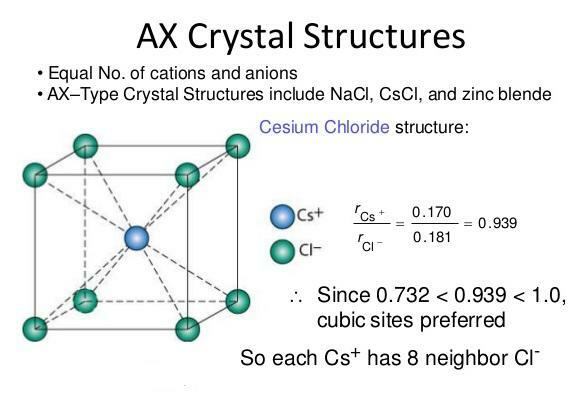 In the case of pure metals whose crystals have simple cubic structure, it is equal to the basic distance 'a' only. 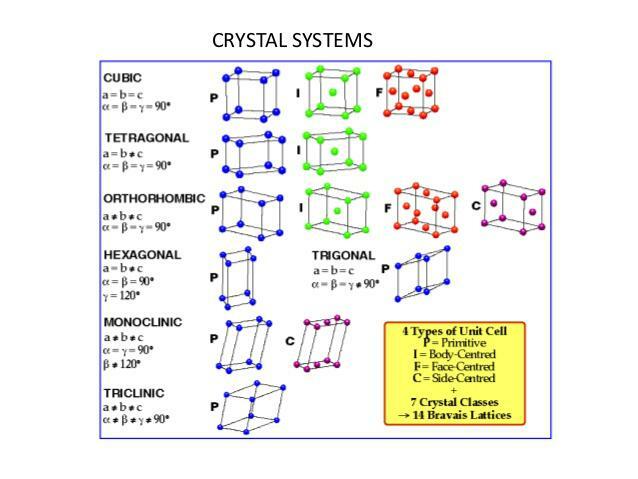 There are 14 types of possible lattices and they fall into 7 crystal systems. 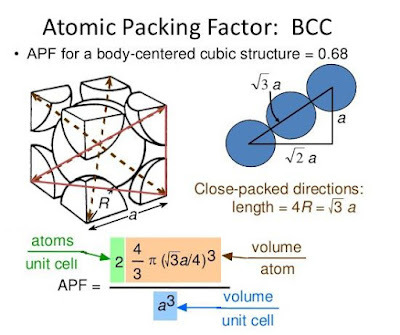 Lattice parameter means the dimensions of the unit cell in any of the crystallographic arrangements. In case of a cubic symmetry, the size of the lattice is fixed by the length of the cubic unit. Each atom has a site defined by its geometrical centre of relationship with the crystal lattice and this is the mean position of the atom. The position of the atom is less well defined, because it undergoes thermal vibrations within the space available to it between its neighbours. 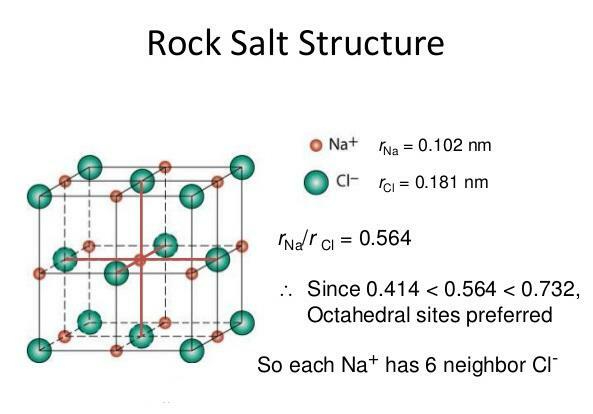 The crystal structure can be regarded as an array of atoms built of layers one over the other, each layer consisting of simple arrangement of uniform rows of atoms, which mate or key with the atoms in adjacent layers. Such layers of atoms are called crystallographic planes and the inter atomic forces in a solid vary greatly with geometry of these planes. 2. Body centred cubic structure (BCC). 3. 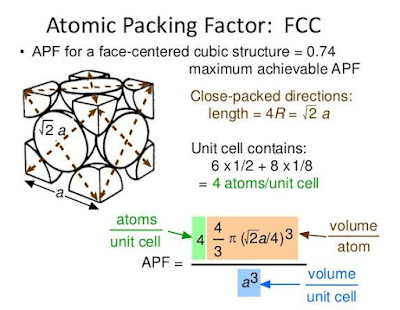 Face centred cubic structure (FCC). 4. 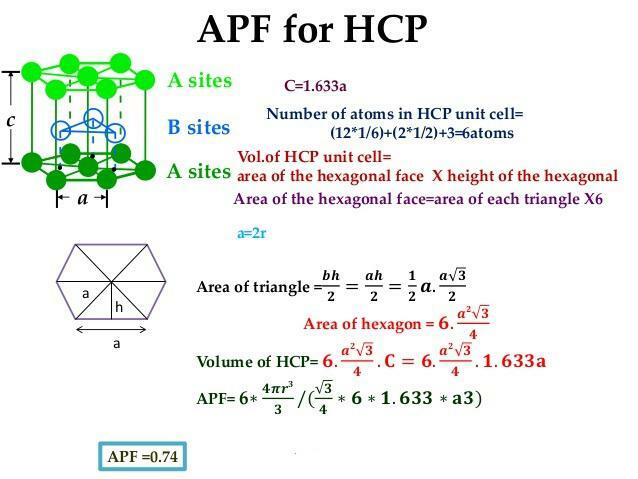 Hexagonal closed pack structure (HCP). 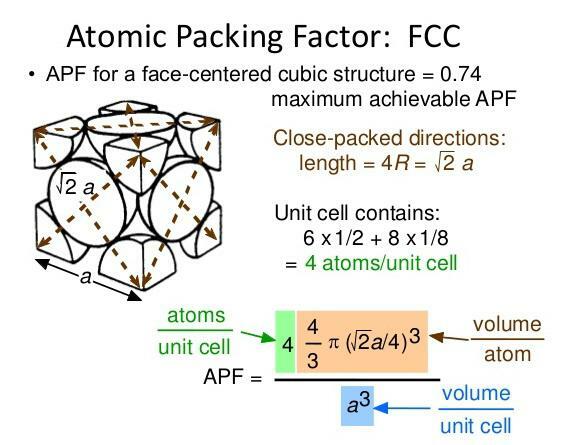 Here the atoms are present at the 8 corners of the cube and also at each side of the face (6 faces). 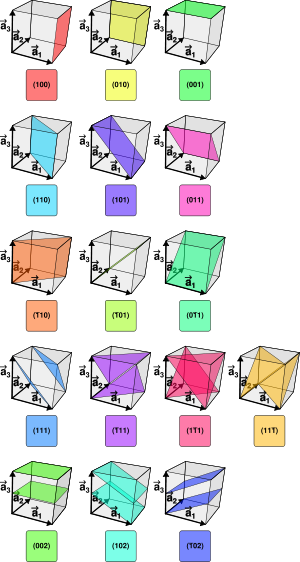 Miller indices is a system of notation of planes within a crystal of space lattice. They are based on the intercepts of plane with thee three crystal axes, i.e. 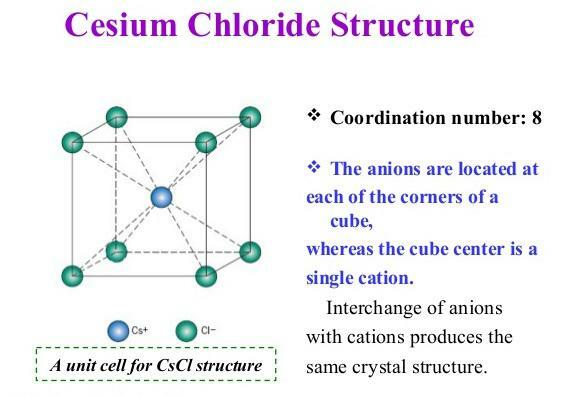 edges of the unit cell. The intercepts are measured in terms of the edge lengths or dimensions of the unit cell which are unit distance from the origin along three axes. 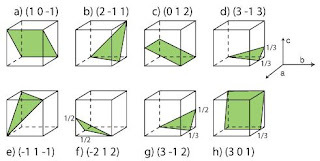 Miller evolved a method to designate a set of parallel planes in a crystal by three numbers h, k, and l, usually written within brackets thus (h, k, l) known as Miller indices of the plane. 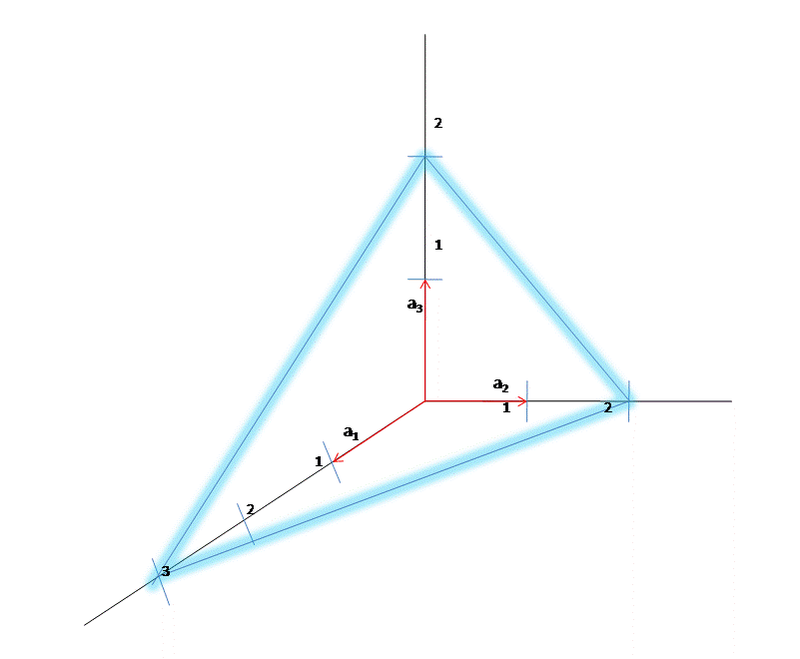 STEP 1 : Find the intercepts of the plane along the axes x, y, z ; Ex: 2, 2, 3. STEP 2 : Take reciprocals of the same ratio. Ex: 1/2, 1/2, 1/3. STEP 3 : Convert into smallest integers in the same ratio. Ex: 3, 3, 2. STEP 4 : Enclose in parentheses. Those are in the form of (h, k, l). Ex: (3, 3, 2). 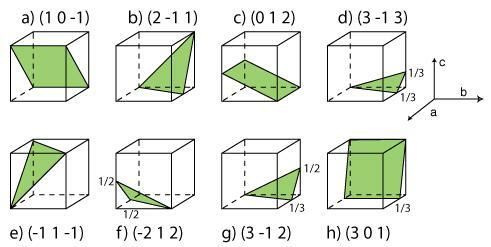 All the parallel planes have the same miller indices. 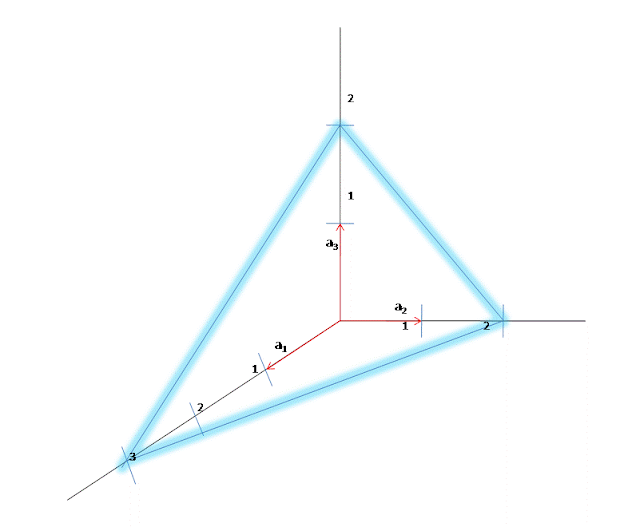 Thus the Miller indices defined a set of parallel planes. A plane parallel to one of the co-ordinate axes has an intercept of infinity. If the miller indices of the two planes have the same ratio [i.e., 841 and 422 or 211] then the planes are parallel to each other. 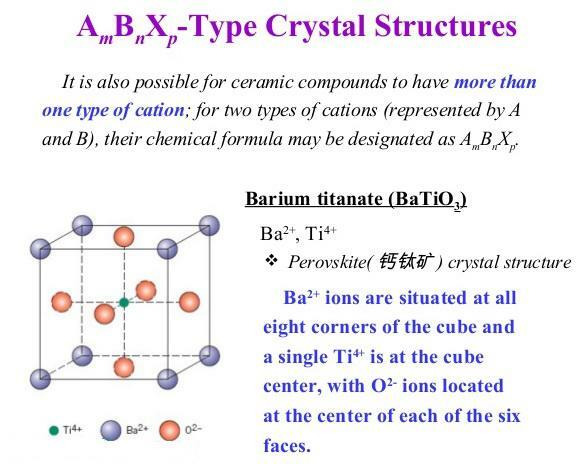 Up to now, we have described perfectly regular crystal structures, called ideal crystals and obtained by combining a basis with an infinite space lattice. In ideal crystals atoms were arranged in a regular way. In actual crystals, however, imperfections or defects are always present and their nature and effects are very important in understanding the properties of crystals. These imperfections, electrical properties etc, to a great extent. Natural crystals always contain defects, often in abundance, due to the uncontrolled conditions under which they were formed. The presence of defects which affect the color can make these crystals valuable as gems, as in ruby (chromium replacing a small fraction of the aluminium in aluminium oxide: Al2O3). 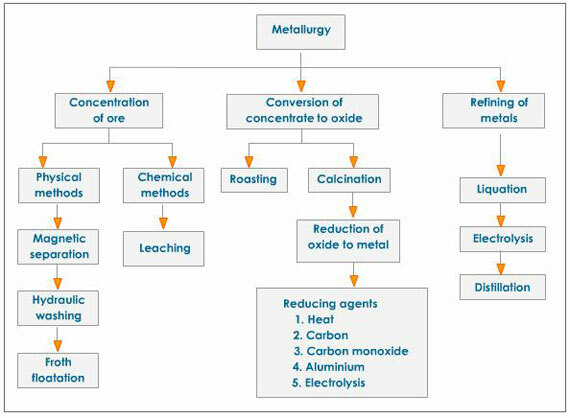 Crystal prepared in laboratory will also always contain defects. Imperfections are found in all crystals unless some special means are used to reduce them to a low level. The atoms do not have their full quota of electrons in the lowest energy level. 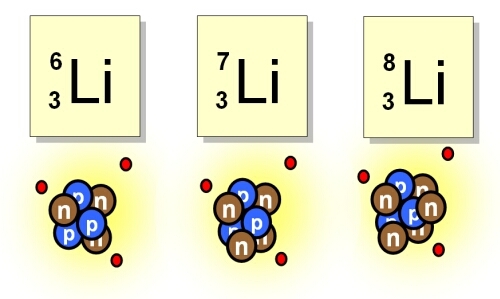 But the atoms vibrate due to thermal effect and the electrons also change their positions. 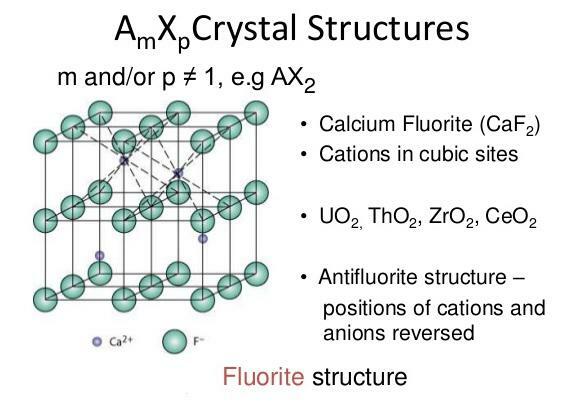 There is much other type of defects found in the structure of the crystals. 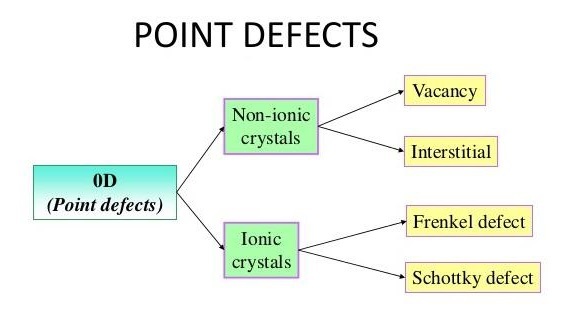 The defects which take place due to imperfect packing of atom during crystallization are known as point defects. The point defect also takes place due to vibrations of atoms at high temperatures, quenching, by severe deformation of the crystal lattice; e.g., By hammering or rolling. Point imperfections are completely local in effect, e.g., A vacant lattice site. 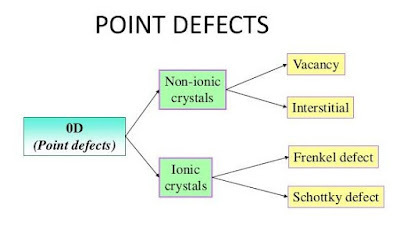 Point defects are always present in crystals and their present results in a decrease in the free energy.